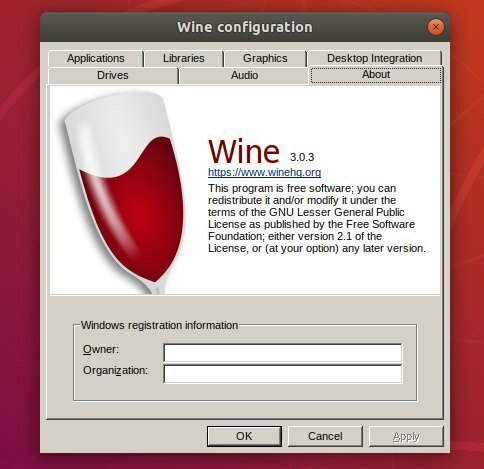 Wine 3.0.3, the open-source compatibility layer to allow Windows programs to run on Unix/Linux, was released a few days ago as a new stable release. Wine 3.0.3 fixed 52 known bugs, including fixes for Windows PowerShell, iTunes 12, Adobe Premiere Elements 14, Max Payne 3, ProPresenter 4, and various other application fixes. For more, read the announcement. Wine has an official apt repository so far with the latest packages for Ubuntu 14.04, Ubuntu 16.04, and Ubuntu 18.04.
i tried to manually put that and it would say that there is no command. Whats my mistake ? Thank you, this is a solution that I expected. E: The repository 'https://dl.winehq.org/wine-builds/ubu... bionic Release' does not have a Release file. E: The repository 'http://dl.winehq.org/wine-builds/ubuntu xenial InRelease' is not signed. Did you successfully install the repository key? Thank you, I was only able tu uninstall wine. can you please help me to solve this,tell me what to do after this? The key is wrong on debian buster and in order to use the apt-add-repository command, I have to install the software-properties-common package.